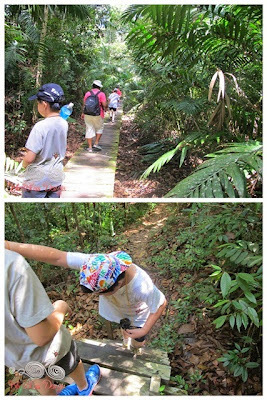 The highlight of the trip was the Jungle Trekking. 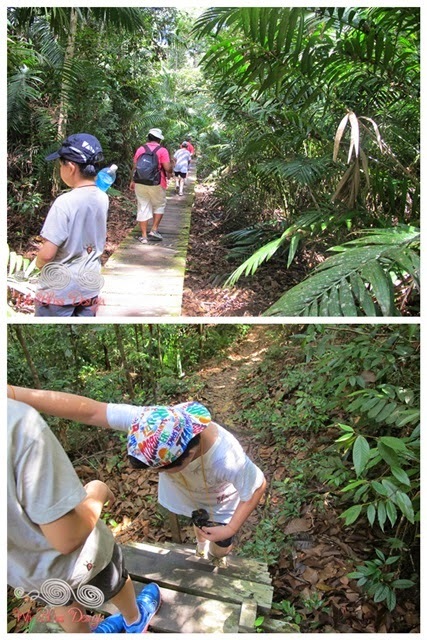 We picked Jalan Lintang (Lintang Trail), a 5.8 km trail that took us about 4 hours to complete. Basically it is a loop trail going up Bukit Tambi, located behind the Park HQ. 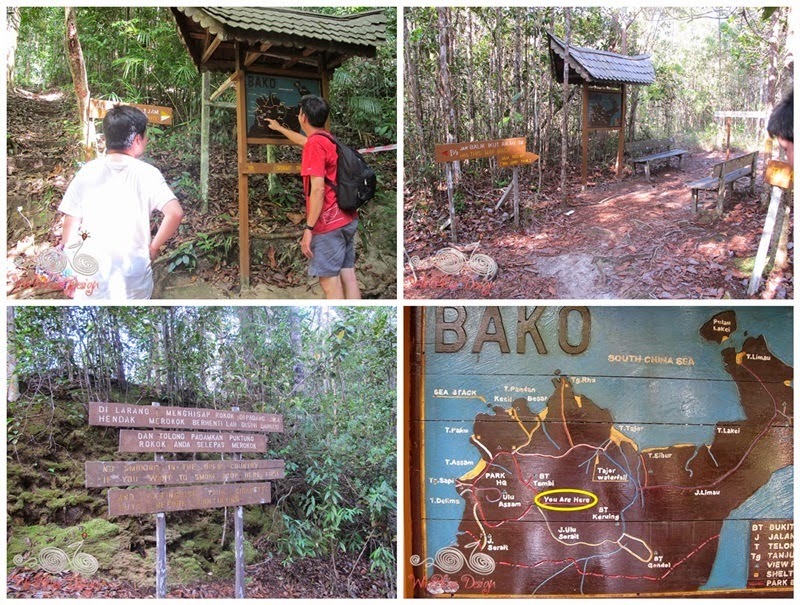 It is the best trail to see most of the vegetation types found at Bako NP. Not forgetting the rare Proboscis Monkeys which is endemic to Borneo. 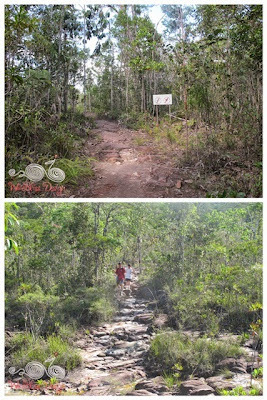 ▲The start of Lintang Trail, climbing all the way for about 1 hour plus. Wooden walkway and steps along the way. 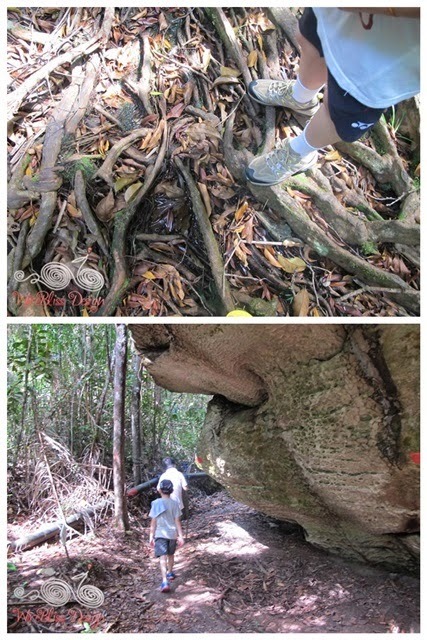 ▲We encountered lots of root steps like the above picture and several large rocks. ▲Almost at the summit, the beginning of flatter climb. The Park HQ is down there somewhere. ▲No worry about getting lost. Signboards, resting place and maps are strategically located along the way. ▲The Heath Forest of Bako National Park. Dry and rocky area. ▲Root steps of the Heath Forest. ▲Some sections are sandy and relatively flat. William can't wait to be back at the HQ. ▲The mangrove forest. 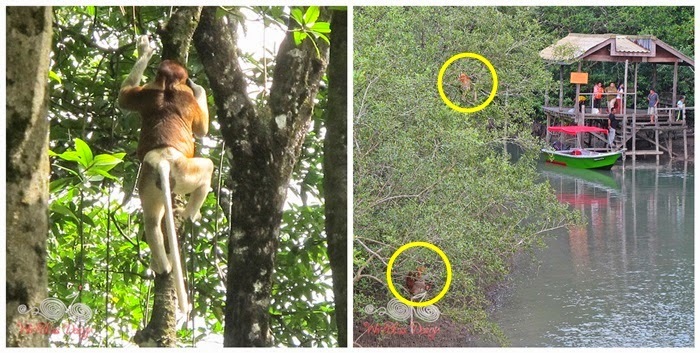 We spotted a group of Proboscis Monkey here. ▲Finally we reached the coast just as the sun was setting. 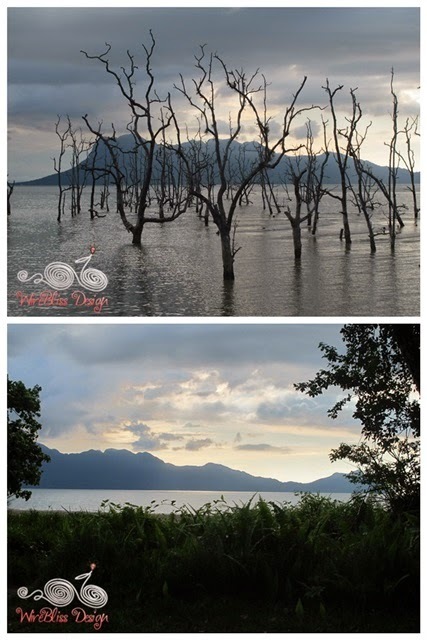 ▲Beautiful view of sunset and dead mangrove trees (eerie ya). There are more but these are the animals and plants that we got to see during the trip. ▲The Proboscis Monkeys are endemic to Borneo. Mangrove forest is their natural habitat and we were lucky to see some near the jetty. Sorry no front view of the famous nose. Only the back side. ▲The Bornean Bearded Pig is a common sight around the Park HQ as well as Forest Lodges. Looking for food all the time and not scared of human at all. I think they can be the mascot for Bako NP. ▲During the day, we were to keep all windows and doors closed to keep this monkey away. In the morning while we were having breakfast, they were all around us, "asking for food". Suggestion to the Park management - install grill on windows, so windows can be left open to let the fresh forest air in. Otherwise, its very stuffy with all windows closed. 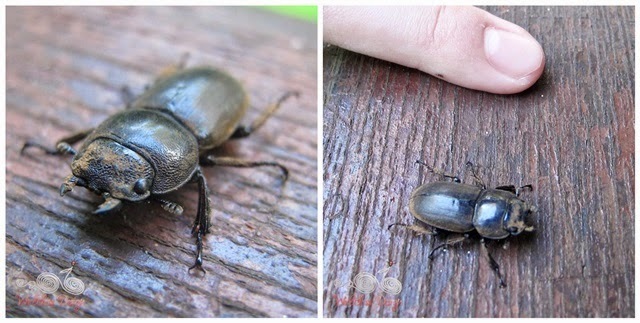 ▲The boys found this beetle early the next morning but lost it to a hungry monkey. 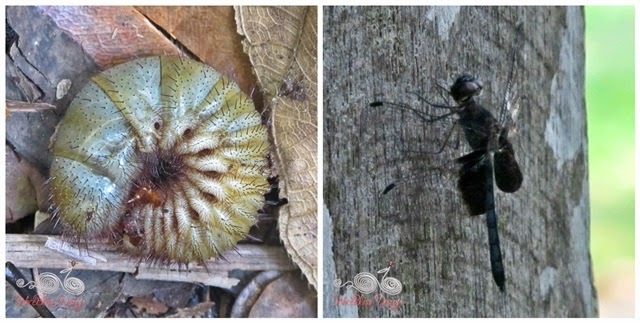 ▲Some kind of caterpillar and dragon fly. ▲A little purple hermit crab. ▲Moss found at the lower and wetter part of the forest. ▲Heath forest on top of the hill. 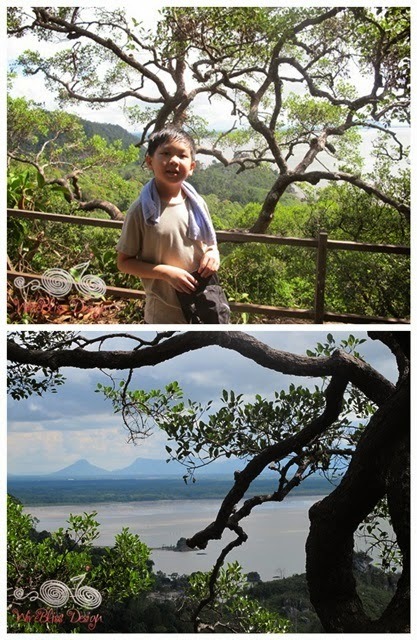 ▲Mangrove forest...wet and dense...habitat for the Proboscis Monkeys. 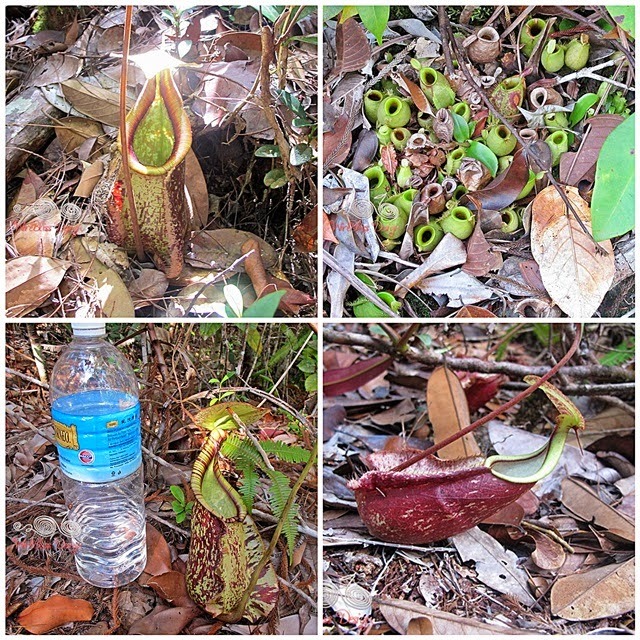 ▲Lots of pitcher plants, mostly at the Heath Forest. Some almost as big as the 1L mineral water bottle. Others are tiny and cute. 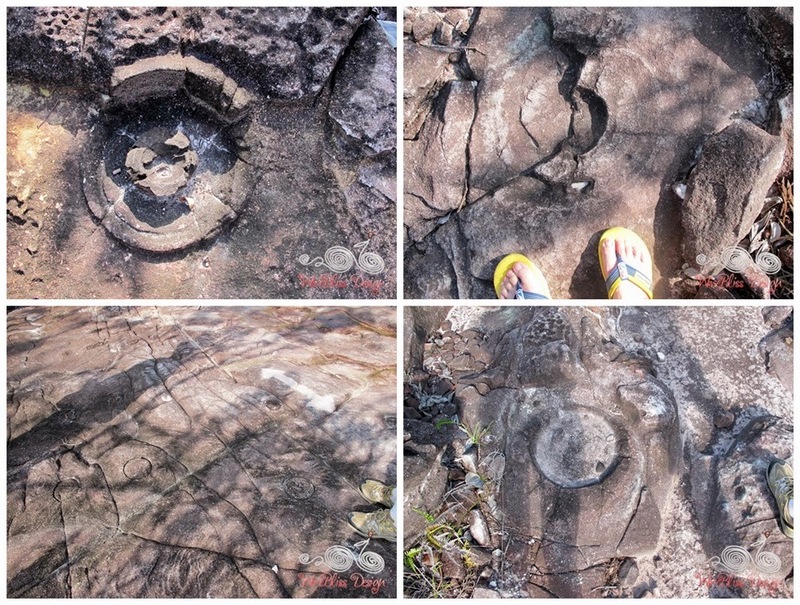 We encountered these rock formation at the top of the hill. Not sure if they are naturally formed or otherwise. See you again.....in the next few years. Labels: Domestic Travel , Offwire Rambles Share it!